Posted on Wednesday, December 17th, 2008 at 1:22 pm by Eugene Starostin. Finally, for those developers who have no desire to do everything from scratch, and who yet did not get impressed by the list of our products' features, we have opened the way to Microsoft Visual Studio Tools for Office (VSTO). 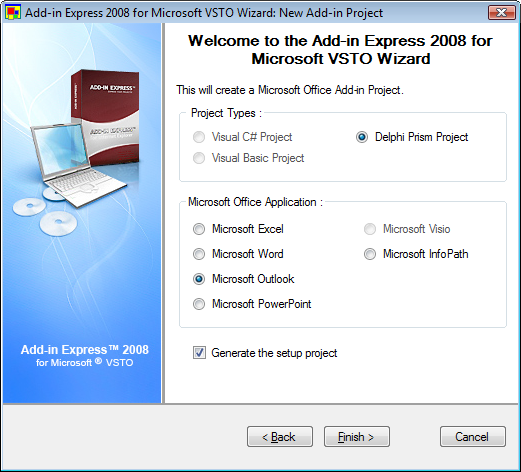 Now, there is a special free wizard for Delphi Prism which can generate VSTO-based solutions, including setup projects. With all concomitant benefits and …hmm … specificities. 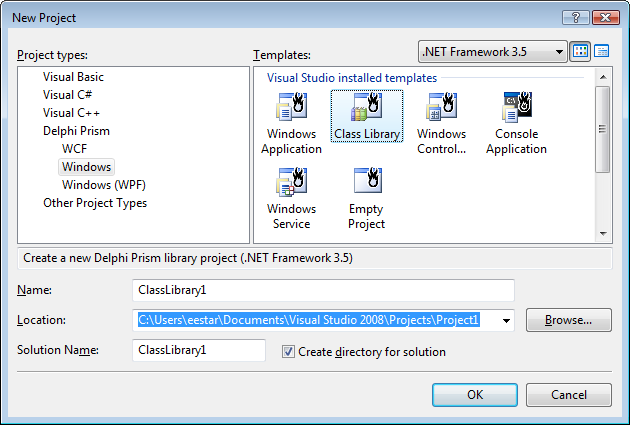 However, please remember that the main requirements are Visual Studio 2008 Pro (or TS) with VSTO and Delphi Prism installed. 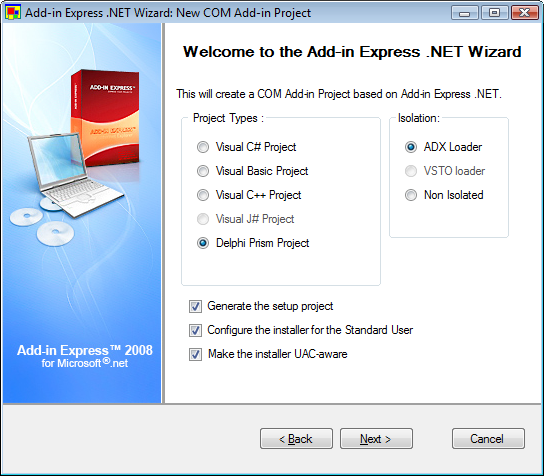 What is the difference between Add-in Express for .NET, for VSTO and for VCL?